Neither team spent much time at the free throw line. Michigan hit just 5 of 11, while the Badgers were 7 of 9 with Happ hitting two out of four in the final two-plus minutes of the game. Jon Teske led Michigan (17-1, 6-1) with 15 points. Sophomore guard Jordan Poole (Milwaukee) scored added 14, but scored just 3 of those 14 in the second half. Junior guard Zavier Simpson had 11 points, 10 rebounds and six assists. The Wolverines came into the game averaging 9.5 turnovers a game. 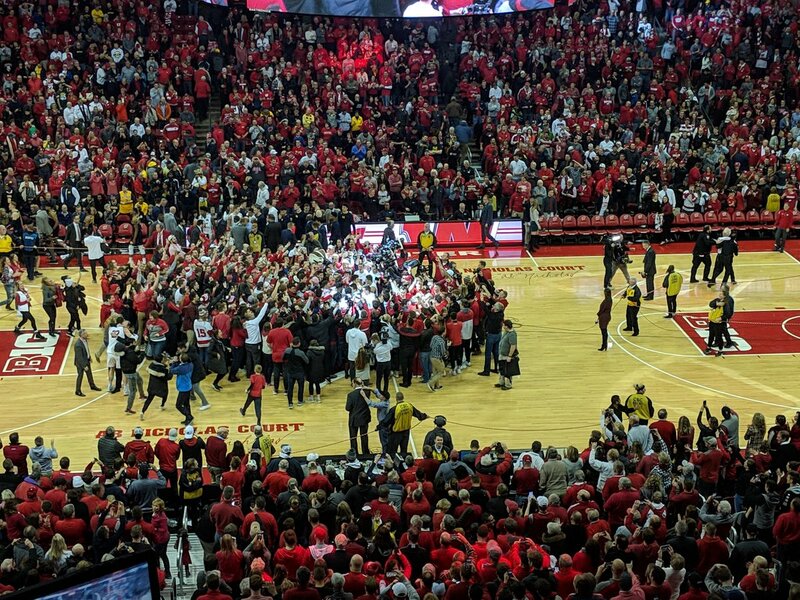 They had 16 against the Badgers, falling for the first time since the 2018 National Title game. 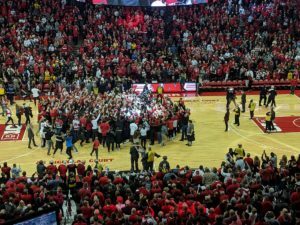 Badger fans stormed the court after their team earned its seventh victory over a top-10 team under coach Greg Gard. Next up for the Badgers is a road game at Illinois on Wednesday night.